Casper Smart was born on 6th April 1987 in Anaheim, California, the USA. His birth name is Beau Casper Smart. His father name is Roy Smart and his mother name is Shawna Lopez. He had to spend his childhood with his grandmother because his parents divorced due to their internal conflict. He was raised along with his five siblings Bailey, Cory, Bree, Brandon, and Brooklyn. Likewise, there is no information available about his education. Casper holds American nationality and belongs to Hidpanic ethnicity. He has 5 feet 8 inches height and has 83 Kg weight. He has dark brown hair colour and has dark brown eye colour. His zodiac sign is Aries. 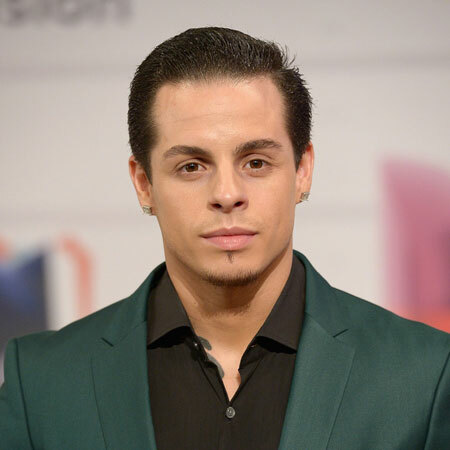 Casper Smart began his career he trained in dancing style, krumping at the age of 18. He also won a dance contest organized by the choreographer, Debbie Allen. His first TV appearance was on the show, Ellen’s Even Bigger Really Big Show in the year 2008. He debuted his acting career from the television shows called “Glee” and later he made his appearance on “So You Think You Can Dance” and “The X Factor”. Besides from that, he made his film career debut from the film “Step Up:3D”. Casper has made his appearance in Tv shows and movies like “Restored Me”, “Perfect Match”, “Big Bang Theory”, etc. He has been successful in making his dancing tour with famous personalities like J Lo, Flo Rida, Sean Paul and so on. Additionally, Casper has not been successful in collecting awards in his name but he has been nominated in MTV Music Award for Best Choreography in 2013. The 31 years old, Casper Smart is currently is in a relationship with Paige Hathaway. She is a fitness model and entrepreneur. They have been dating since 2017. The couple met for the first time in Miami getaway. The couple revealed about their relationship via posting their pictures on their Instagram handle. Previously, he was dating Jennifer Lopez since 2011 but unfortunately, they couldn’t hold the relation and they announced their separation in August 2016. The American actor, dancer, and choreographer, Casper Smart has earned the decent income from his career. Casper has earned around $1 million USD. Casper is active in social media. He has around 467k followers on Instagram, above 110k followers on Twitter and around 296k followers on Facebook.